The present study aimed to investigate the effects of pre-storage for 24h and 48h and different modified atmosphere packaging-MAP treatments (using low-density polyethylene – LDPE) on the antioxidant compounds and the postharvest quality of ‘Douradão’ peaches under cold storage. The peaches were submitted to the following treatments: a control (no packaging or pre-storage) and pre-storage for 24h or 48h at 25ºC combined with passive MAP (LDPE 60 µm or 80 µm). After the application of the treatments, the fruits were stored at 0ºC for 30 days plus 3 days at 25ºC to simulate marketing conditions. The results showed that on the simulated marketing period, all the treatments (except for the control) reduced woolliness and internal browning. Furthermore, both pre-storage and LDPE MAP enhanced the polygalacturonase (PG) activity, the levels of phenolic compounds and the antioxidant capacity. Thus, these results suggest that the pre-storage associated with LDPE packaging increases the shelf life of peaches by up to 30 days under cold storage. Prunus persica (L.) Batsch; stone fruit; woolliness; internal browning; postharvest. Camargo, Y. R., Lima, L. C. O., Scalon, S. P. Q., & Siqueira, A. C. (2000). Efeito do cálcio sobre o amadurecimento de morangos (Fragaria ananassa Duch.) cv. campineiro. Ciência e Agrotecnologia, 24(4), 968-972. Campos, F. M., Martino, H. S. D., Sabarense, C. M., & Pinheiro-Sant’Ana, H. M. (2008). Estabilidade de compostos antioxidantes em hortaliças processadas: uma revisão. Alimentos e Nutrição, 19(4), 481-490. Crisosto, C. H., Garner, D., Andris, H. L., & Day, K. R. (2004). Controlled delayed cooling extends peach market life. HortTechnoIogy, 14(1), 99–104. Evangelista, R. M., Chitarra, A. B., & Chitarra, M. I. F. (2000). Influência da aplicação pré-colheita de cálcio na textura e na atividade das enzimas PG, PME e β-galactosidase de mangas ‘Tommy Atkins’ armazenadas sob refrigeração. Ciência e Agrotecnologia, 24(Edição Especial), 174-181. Gross, K. C. (1982). A rapid and sensitive spectrophotometric method for assaying poligalacturonase using 2-cyanoacetamide. HortScience, 17(6), 933–934. Ju, Z., Duan, Y., Ju, Z., & Guo, A. (2001). Different responses of ‘Snow Giant’ and ‘Elegant Lady’ peaches to fruit maturity and storage temperature. Journal of Horticultural Science and Biotechnology, 76(5), 575-580. Macheix, J. J., Fleuriet, A., & Billot, J. (1990). Fruit phenolics. Boca Raton, FL: CRC Press. Silva, M. L. C., Costa, R. S., Santana, A. S., & Koblitz, M. G. B. (2010). Compostos fenólicos, carotenóides e atividade antioxidante em produtos vegetais. Semina: Ciências Agrárias, 31(3), 669–682. Toivonen, P. M. A. (2004). Postharvest storage procedures and oxidative stress. 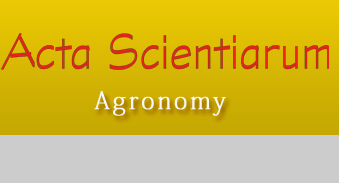 HortScience, 39(5), 938–942. Zoffoli, J. P., Rodriguez, J., Aldunce, P., & Crisosto, C. H. (1997). Development of high concentration carbon dioxide modified atmosphere packaging systems to maintain peach quality. In A. A. Kader (Ed. ), 7th International Controlled Atmosphere Research Conference (p. 132-138). Davis, US: University of California.